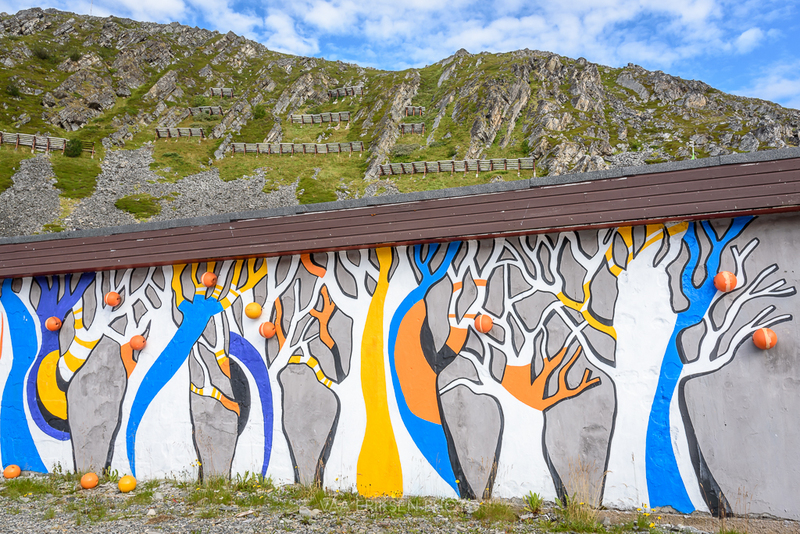 This entry was tagged Finnmark, Mural, Nature, Norway, Photography. Bookmark the permalink. Wow! This is so wonderful and so unexpected. Thanks Lena! I think it is so funny to discover who they in small fishing villages have decorated their buildings. You almost expect murals in big cities, but in a tiny village far in the arctic it is a lovely surprise! I can understand that fascination. Så vackert och underbara färger. Härligt fynd! Such a curious sight for a fishing village — quirky and fun. I have so enjoyed the glimpses you have offered of Norway since you have returned there, Inger. That is just how I felt as well, quirky and fun. It doesn’t have to be boring and grey just because you live in a small fishing village in the remote far north:) I still haven’t been able to find out who the artist is. Being a WP outsider,at the moment,I can see I have missed so many captivating posts,dear Inger.Trying hard to sort out my inundated email inbox … Amazing great scale mural with lovely vibrand colours! Thank you so much dear Doda! Hope you have enjoyed your WP break, sometimes it is needed:) I loved this mural as well, so vibrant and colourful. Not something I was expecting to find in a small fishing village on the far coast.